In its first full Section 5 Ofsted inspection since March 2017, we are pleased to announce that Willenhall E-ACT Academy has been removed from the grade 4 special measures category. 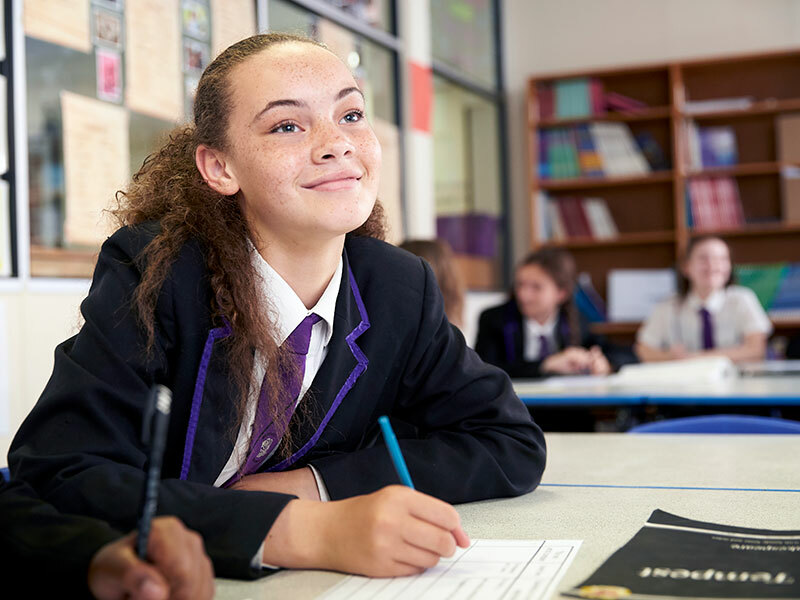 The trust has overseen significant and positive change at Willenhall, and under the leadership of Headteacher Jenn Willmitt and Regional Education Director Joanna Hall, the academy has experienced significant progress. Whilst there is undoubtedly much more work to be done, Willenhall E-ACT Academy is in a strong position to build on the many strengths highlighted by the Ofsted inspectors. Here, we catch up with Year 11 students Arjun and Kiara to find out what they think about the improvements. I’ve been a student here since Year 7, and I’d say that Willenhall has progressed in the last two years in a way that I haven’t seen before. Everything from behaviour to respect from within the community is so much better now. I genuinely feel that I can have a proper conversation with teachers. There’s a homely feeling here, and the academy is welcoming and accepting to all. I see and hear people talking about the academy in a much more positive way now. I hear parents saying that their child is waking up early to get to academy because they’re excited to be here! I’ve been here since Year 7 and I’ve seen huge change at the academy. The academy is so welcoming. There’s always someone at the gates to greet you, and our teachers are understanding and want to help. They are so passionate about the academy. I really look forward to coming in to academy, and I feel proud to wear the uniform. “The progress highlighted to us today by Ofsted is testament to the hard work and determination of a talented group of academy staff, led by Headteacher Jenn Willmitt and Regional Education Director Joanna Hall. E-ACT has overseen a raft of positive changes at the academy since its last full Ofsted inspection in March 2017. There is undoubtedly much more work to be done, but Ofsted’s findings show that Willenhall E-ACT Academy students and staff can together look forward to a bright future.